Nielsen-Kellerman (NK), makers of Kestrel® Weather Meters, has launched a new website, www.KestrelBallistics.com. The new mobile-friendly site features a Schoolhouse section with a wide range of information for long-range shooters of all skill levels. There you’ll find “How-To” guides and technical articles by respected ballistics and firearms experts. 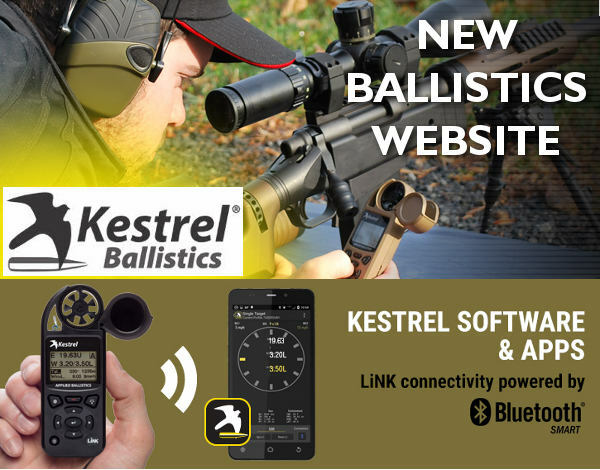 Along with the Schoolhouse, and a resource section offering free downloads of technical manuals, NK’s new Ballistics website will feature a webstore where customers can purchase long-range shooting accessories such as scopes, range finders, weather vanes, and Kestrel weather/ballistics meters. Along with Kestrel products, the eStore will offer Bushnell optics, MagnetoSpeed chronographs, and Accuracy 1st Ballistic Solvers. The Schoolhouse resource offers articles from Kestrel’s own experts as well as Kestrel’s industry partners Applied Ballistics and Accuracy 1st. 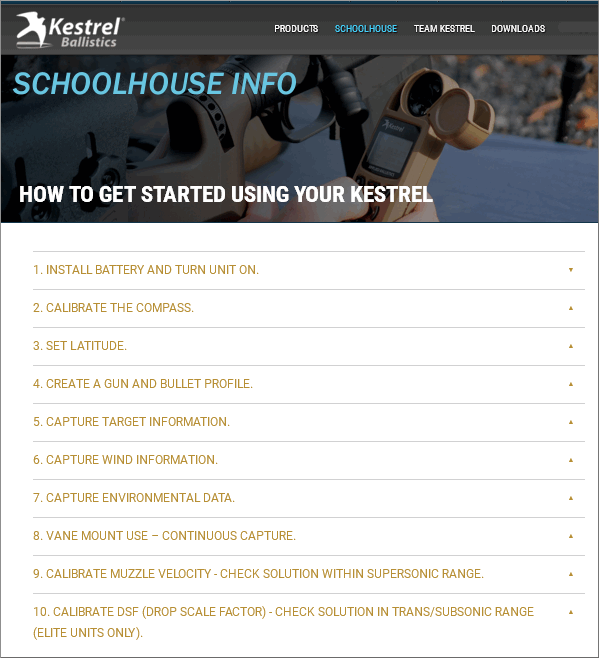 The purpose of the Schoolhouse section is to provide up-to-date information about industry advances and new techniques, as well as to provide comprehensive, detailed “how-to” guides for owners of Kestrel Weather Meters and Ballistics Calculators. Shown below is the Schoolhouse section that explains how to set up a Kestrel. “As Kestrel has progressed in the long-range shooting space, we have seen that there is a real thirst for knowledge among long-range shooters. Just as we never ship a product without ensuring that it will provide accurate, reliable information, we will ensure that KestrelBallistics.com only contains articles, advice and products that customers can rely on. We are truly enjoying expanding our customer offering in this area.” stated Nielsen-Kellerman CEO, Alix James. NK’s new Ballistics site provides information and resources that can benefit all long-range shooters, whether they are primarily interested in hunting, competitive, or tactical shooting. Share the post "Nielsen-Kellerman Launches New Ballistics Website"